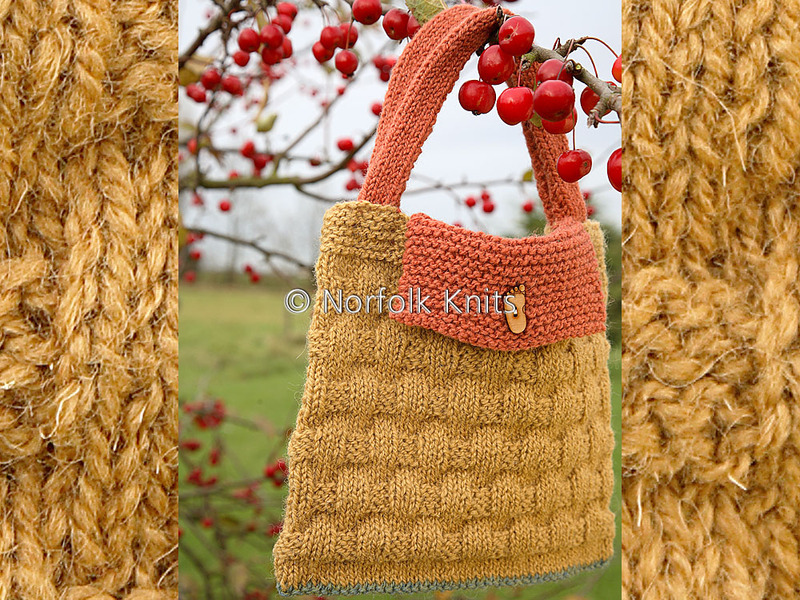 Basketweave handbag with button over top. Finished with wooden button or toggle. Can be finished with or without pompoms.